Fasting for Fitness- Yesterday's News or is there Firm Science? I'm probably a bit late (by a few years) in writing this post. It is however Ramadan and I'm aware that some of my Muslim patients are fasting. This post follows on from the 'trendy' fasts with equally trendy names like the 5:2, intermittent fasting, juice fasts, fasting cure etc (no, I haven't read them all). Also I was at an event recently where we were all discussing the different 'fasts' we were on. 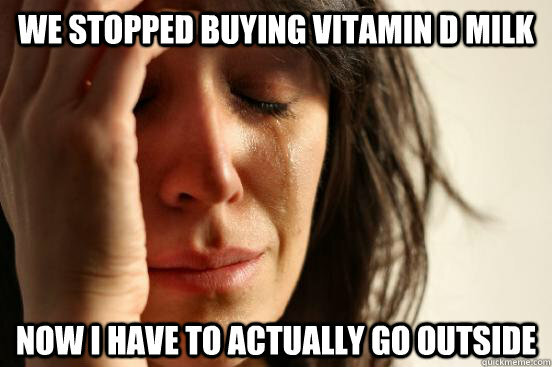 What I find is that I end up requiring less food throughout the day. I'm also fuller with smaller quantities of food. I'm careful about not breaking my fast with anything processed or high carb. It also makes life somewhat simpler and certainly cheaper. There is no mid-afternoon slump- a very interesting finding. There is more energy throughout the day. I also tend not to think of food quite so much as normal. That's just me. I'd like to share an interesting article about fasting, again with the hope that you'll ask some questions and research this yourself. If nothing else, its actually a rather painless way of keeping weight gain in check! A recent daily mail article highlighted an exceptionally important factor that has been hidden or not understood or ignored for so long. It attempted to explain why there is a sudden increase in a variety of diseases that were not so prolific some time ago. It begs the intelligent reader to question- what can I do? Obviously the solution is not in popping pills. We have been doing that for too many years now. Either the pharmacological industries have not caught up to doing a better job coming up with better drugs (go on....blame them!) or we must be doing something wrong. The thing is, with the glut of information that is presently out there, there's also a glut of misinformation and contradictory information. So who has the right answers? At this point in time, the best that we can do is accumulating information and constantly asking questions. Also equally important is reading both sides of the story (eg fat is good for you vs fat is bad for you). The article I've shared with you will hopefully make you question things again. If that's all it does at this stage, its enough as a first step. A first baby step towards a lifelong journey of learning and hopefully better health. The answer, by the way, is inflammation.